Aurora Spa is giving 15% of all gift certificates purchased from 9 am - 8 pm on November 15th to Smile Network International. Smile Network is a humanitarian organization that provides life-altering reconstructive surgeries and related healthcare services to impoverished children and adults in developing nations. 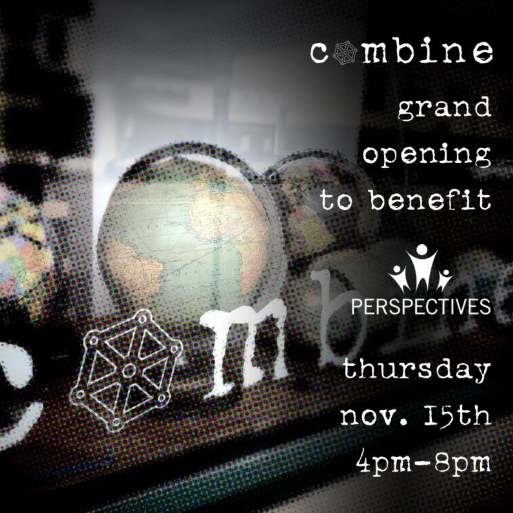 Also please join us for Combine’s grand opening which will benefit Perspectives from 4 - 8 pm on November 15th. Combine is a boutique for men, women and home. We are so lucky they landed above our spa! What a perfect day to get a little holiday shopping done for friends and put a smile on the face of a loved one and also a person in need.